As the jurors of the 2017 Richard H. Driehaus Foundation National Preservation Awards deliberated, they kept returning to the idea of community. Architecturally significant, impeccably tailored historic buildings are, and always will be, important to save, but the field of preservation is increasingly widening its focus to include places that affect daily life for large numbers of people. In the end, that’s exactly what the jurors chose to highlight. 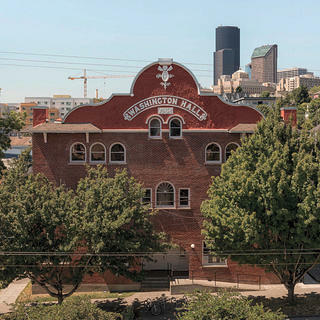 The rehabilitation of a 1908 performance hall in Seattle (story below) is one of three winners that embody this more holistic view of preservation. Plenty of others have felt the same way. Architect Victor Voorhees designed the eclectic, brick-faced building with Mission Revival elements for its original owners, the Danish Brotherhood in America. It served as a place where new Danish immigrants to the city could reside until they found jobs and permanent housing. Boarding rooms took up the three-story rear section of the 25,000-square-foot building, while the front, two-story portion contained an auditorium with a proscenium stage and a curving upstairs balcony, as well as a lodge space for smaller meetings. The group rented out the public spaces to anyone who wanted to use them, creating a steady income stream to aid its mission of supporting Danish culture in the United States. From left, Judi “Kitty Wu” Martinez, Daniel “King Khazm” Kogita, Heidi Jackson, Robin Harris, and Suntonio Bandanez represent two of the project’s anchor partners, 206 Zulu and Hidmo Cypher. Jimi Hendrix and his first band, The Rocking Kings, played there during the 1960s. The Sons of Haiti, a Haitian-American fraternal organization, bought the hall from the Danish Brotherhood in 1973, and continued to honor its traditional role as a performance space. The avant-garde theater company On the Boards was based at Washington Hall in the following decades, and punk bands and hip-hop groups took the stage regularly during the 1980s and ’90s. But the building was deteriorating, and the Sons of Haiti put it up for sale in 2009 amid development pressures in the Central District. 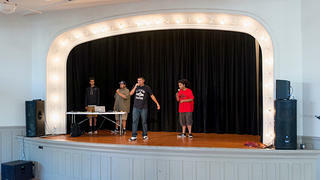 Members of Beats to the Rhyme, 206 Zulu’s hip-hop program for underserved youth, rehearse at Washington Hall. 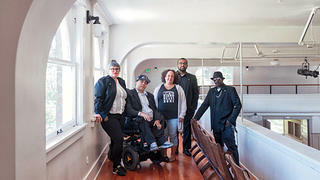 Over seven years of fundraising and rehabilitation work, and with significant support from another Seattle nonprofit, 4Culture, Historic Seattle stabilized the structure, replaced the roof, rebuilt the south wall, brought the building up to code, and built out office and classroom space. The project also entailed uniting the previously separated front and back sections of the building, and restoring key interior elements such as the proscenium arch and the dramatic balcony. 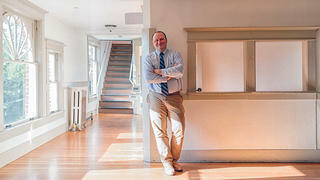 Kji Kelly, executive director of Historic Seattle, inside Washington Hall. Many of the windows were restored through a program called Vets Restore, which helps veterans learn trade skills from experienced contractors. And Ron Wright & Associates/Architects, which handled the later phases of the rehabilitation, worked with Historic Seattle and the anchor partners to enhance accessibility by squeezing an elevator inside the building. The Richard H. Driehaus Foundation National Preservation Awards are supported by the Richard H. Driehaus Foundation. The other 2017 winners are Hamnett Place and SurveyLA.